China Emhapsizes And Praises Pakistan’s ‘Restraint’ Over Escalation Of Conflict With India 4 out of 5 based on 1 ratings. 1 user reviews. China has emphasized and praised Pakistan’s “restraint” and willingness to talk with India to ease tensions between the two countries in the light on a new round of escalation of the conflict between Paksitan and China. “China has paid close attention to the present situation between Pakistan and India, and appreciates Pakistan remaining calm and exercising restraint from the beginning, and persisting in pushing to lower the temperature with India via dialogue,” the Chinese Foreign Ministry said in a statement on March 7. The statement was released following the visit of Chinese vice-foreign minister Kong Xuanyou to Pakistan where he met Prime Minister Imran Khan, army chief General Qamar Javed Bajwa and Foreign Minister Shah Mehmood Qureshi. The Chinese statement shows that Pkistan is in fact keeping an upper hand in the Pakistani-Indian diplomatic conflict over the recent escalation. This fact is especially interesting because most of mainstream media outlets are at least indirectly supporting the Indian side. Well like I said on day one of the Paks whacking the Indians and their Zionist masters, the Chinese and Pakistan are literally blood brothers for over 70 years now. China is very pleased with Pakistani performance and took quiet satisfaction in India being humiliated with Pakistani-Chinese weapons like the JF-10 Thunder. 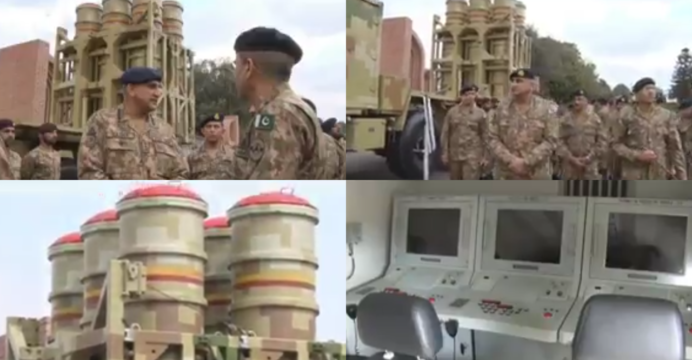 China not only praised Pakistan but in the past two days has delivered more advanced PL-15 AAM for the PAF and also more SAM systems like the HQ 9 for Pakistan to deploy in Azad (Free) Kashmir. https://uploads.disquscdn.com/images/5bc9d5a6036373baa97c256872042d7bc808aa5b10a05affe88b4bb80d502527.jpg – On February 27th, the Pakistani and Indian air forces met above Kashmir to engage in a fierce dogfight that would only last for a short period of time, but result in a televised Pakistani victory over a much larger but less qualified opponent. The Pakistani Air Force was able to shoot down two Indian warplanes, killing one pilot and capturing the other in the Pakistan-controlled Kashmir region. “IAF crossed LOC [Line of Control]. PAF shot down two Indian aircrafts inside Pakistani airspace,” Pakistan’s military spokesman said shortly after the dogfight. “One of the aircraft fell inside AJ&K [Azad Kashmir] while other fell inside IOK [Indian-occupied Kashmir]. One Indian pilot arrested by troops on the ground while two in the area,” they added. 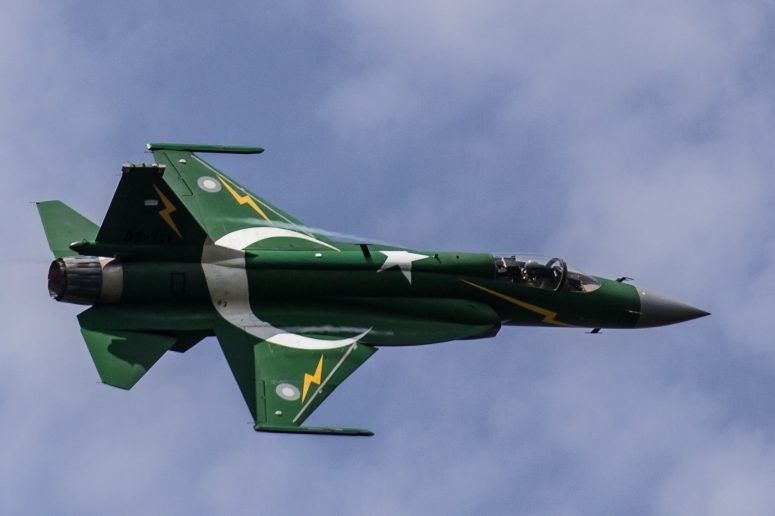 Pakistan has since denied wild uncorroborated Indian Air Force’s claims, pointing out that they did not use an F-16, but rather, their domestically-made JF-17 fighter jets. “Proud to announce, I was project director for JF-17 Thunder program jointly produced by Pakistan and China retired PAF Air Marshall Shahid Latif said in a statement on social media today. The JF-17 ultimately proved itself during the fierce battle over Kashmir, as these jets were reportedly responsible for the downing of the two Indian MiG and Sukhoi warplanes. This domestically-made jet was previously developed to replace the Pakistani Air Force’s over 230 Dassault Mirage III/5 fighter planes. As of now, the Pakistani Air Force is expected to induct another 150 JF-17 jets over the next three years, as they continue to replace the old planes in their arsenal. The one thing you can be sure of, is the the United States/Israel will keep staging terror attacks and keep trying to frame Pakistan. Absolutely. Zionists have the same agenda and will keep on goading the pathetic Indians into more half assed hair brained “surgical strikes”on trees. The Pakistanis are smart people and are moving HQ 9, Crotale and other SAM systems near the LOC so that India does not act stupid again. Interestingly, Modi has gone to ground after all the humiliating videos came out. Even the Congress and Rahul Gandhi are questioning the idiotic rationale behind Modi’s laughable failed stunt. Small Chinese BJ to Pakistan to calm them down?